A beautiful restored example of Day’s 700 lounge chair. 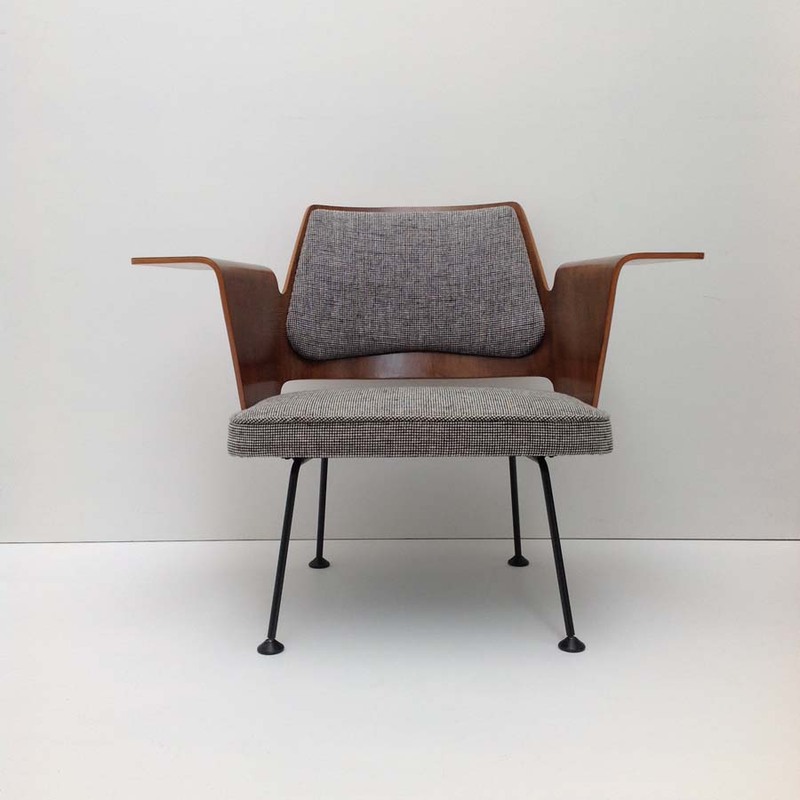 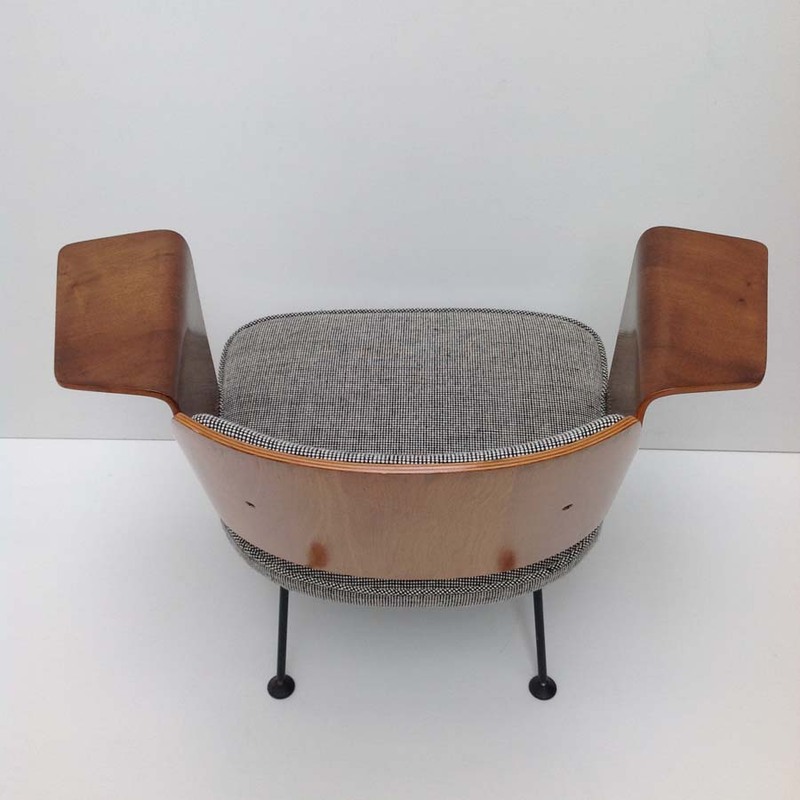 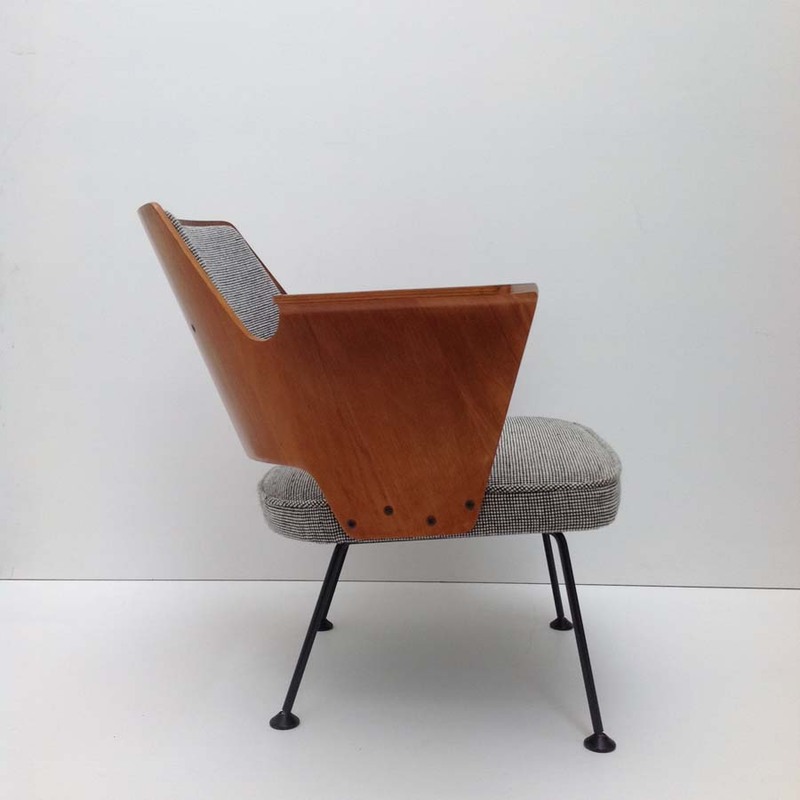 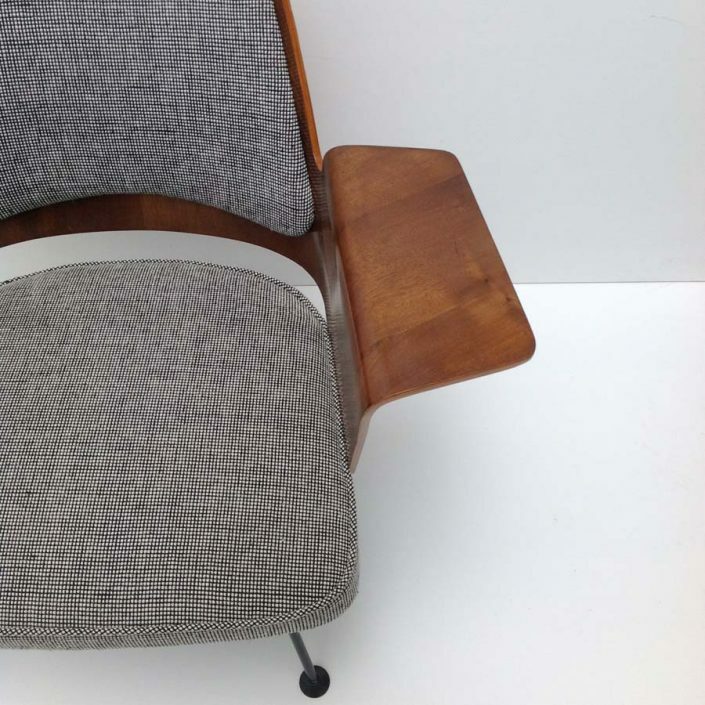 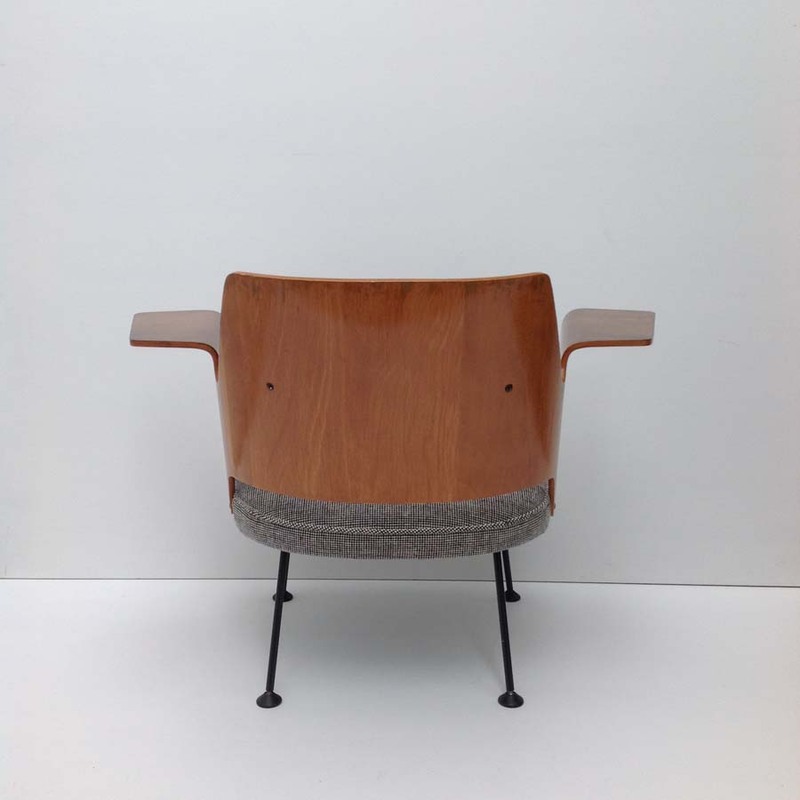 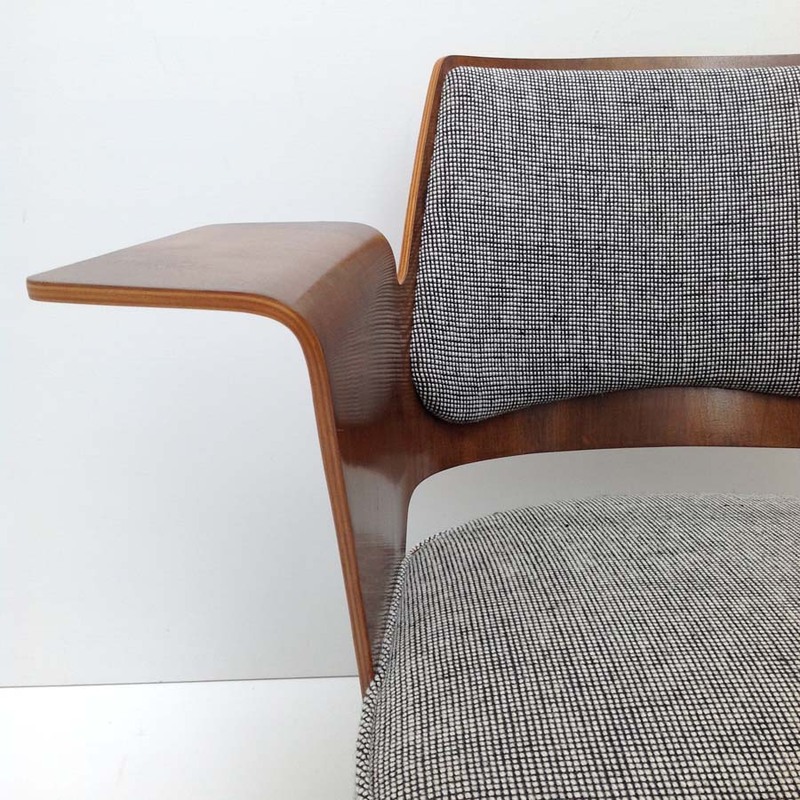 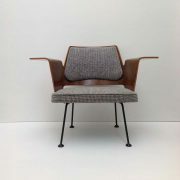 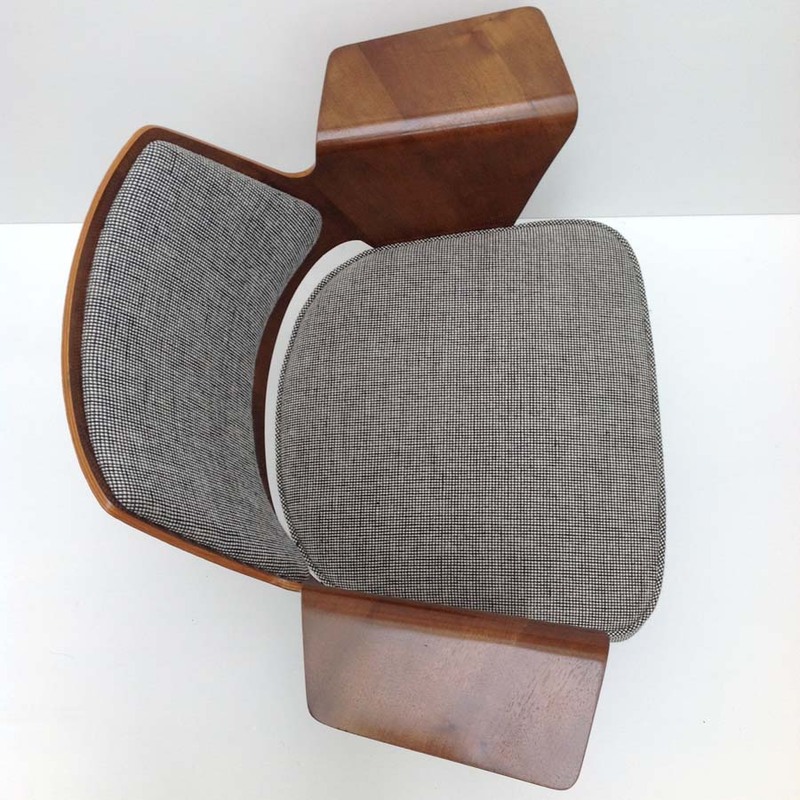 The 700 was the structurally stronger successor to the iconic 658 armchair designed for the foyer area of the Royal Festival Hall for the opening of the 1951 ‘Festival of Britain’. 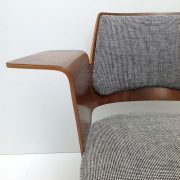 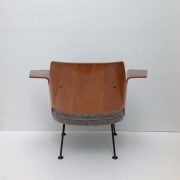 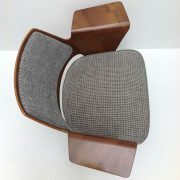 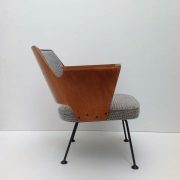 This chair has re-polished Walnut/Sycamore bent ply shell. 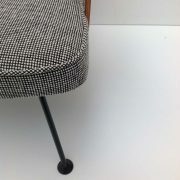 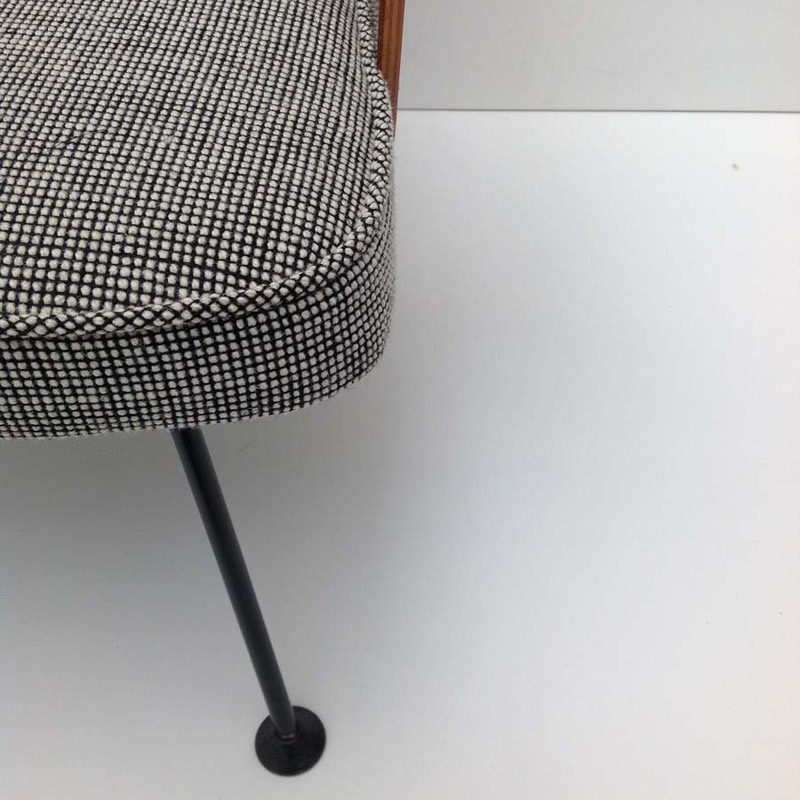 Re-sprayed Dark grey frame and seat and backrest re-upholstered in Gerd Hay-Edie’s Mourne Check textile (Granite).